Syria is the world’s biggest humanitarian crisis. Billions of dollars in international aid are needed to support people caught up in the conflict. The Supporting Syria and the Region conference brought together world leaders from around the globe to rise to the challenge of raising the money needed to help millions of people whose lives have been torn apart by the devastating civil war. Statement on the publication of the Post-Brussels conference financial tracking report. Declaration from the co-chairs of the Supporting the future of Syria and the region - Brussels conference. 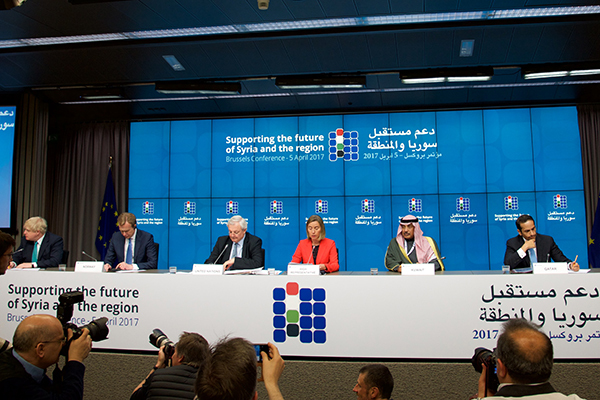 The Brussels Conference on Supporting the future of Syria and the region builds on the London Conference on Supporting Syria and the region of 4 February 2016.